Elected in April, Sangay took control as the head of the Tibetan government at nine minutes past nine on 8 August 20, nine being an auspicious number in Tibetan culture. He replaces the Dalai Lama, who will remain the spiritual leader of the exiled nation and its diaspora. He vowed to continue to fight Chinese colonialism in the Himalayan state. Harvard-trained academic Lobsang Sangay has vowed to fight Chinese "colonialism" at his swearing-in as the Tibetan exiles' new political chief. As elected head of the government-in-exile, he is assuming the political role of the Dalai Lama who, at 76, remains the exiles' spiritual leader. The Dalai Lama presided at the inauguration in Dharamsala, India. Mr Sangay surprised many with his election in April as Kalon Tripa, or head of the government-in-exile. Some fear he will pursue a more radical agenda towards China, which shuns the government based in Dharamsala. His new duties include leading a global movement that campaigns for Tibetan rights and freedoms under Chinese rule, as well as managing the government-in-exile. Among the obstacles he faces is the fact that no country recognises his government, while he himself has almost no experience of his homeland, and none of administration. Making his inaugural speech, Mr Sangay sought to dismiss concerns that the Dalai Lama's age and eventual death would mark the end the movement he has led since fleeing Tibet in 1959. His own election, he said, sent "a clear message to the hardliners in the Chinese government that Tibetan leadership is far from fizzling out". The struggle, he said, was "not against the Chinese people or China as a country. "Our struggle is against the hardline policies of the Chinese regime in Tibet... against those who would deny freedom, justice, dignity and the very identity of the Tibetan people. 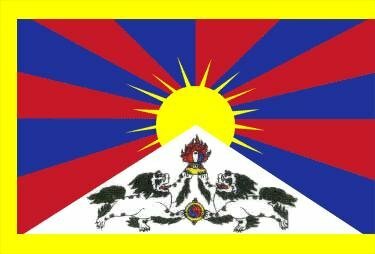 "There is no 'socialism' in Tibet. There is colonialism. Chinese rule in Tibet is clearly unjust and untenable." The ceremony took place at the Tsuglakhang temple in Dharamsala. Following traditional offerings of tea and sweetened rice, Mr Sangay took the oath of office at exactly nine seconds after 09:09 (03:39 GMT), the number nine being auspicious, AFP news agency reports.